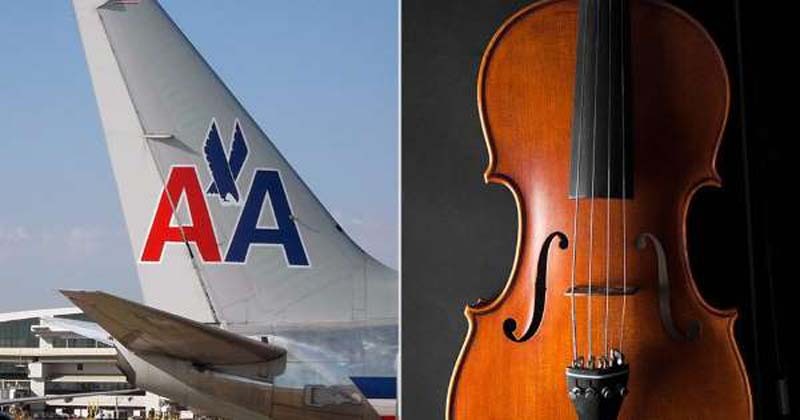 A passenger on board an American Airlines flight says she was removed before takeoff because of the size of her cello – even though she had purchased a seat for the instrument, and claims American Airlines assured her husband she would be able to bring it on board. “I purchased two round trip tickets for her and her cello on Apr.2 on the phone directly from AA and told them specifically that one ticket is for the cello as cabin baggage. I was told it is abosolutely allowed and she won't have any problem,” musician Jingjing Hu’s husband Jay Tang wrote on Facebook. Hu, a music student at DePaul University School of Music in Chicago, had flown to Miami to perform in a music festival. [post_ads]“When I flew from Chicago to Miami, I didn’t have any trouble with that,” Hu told WMAQ. The flight crew even gave her a special strap to hold the instrument in place. The pricey instrument, which Hu says is worth $30,000, made it safely to Miami with her. However, when Hu boarded her return flight to Chicago on Thursday, airline crew members asked her to get off the plane, WBBM reported. According to Hu, flight staff told her the cello was too big for the seat – though she insists it met seat size restrictions. Federal regulations allow musicians to carry instruments like cellos in the cabin if passengers purchase a seat for the item. Though flight attendants insist Hu was removed because the aircraft was too small for the instrument, Tang writes on Facebook that he believes she was removed because the flight was overbooked. “Interestingly my wife was travelling with a friend, who remained on the plane. She told us that after my wife left, two other passengers came and sat in her and her cello's seats,” he wrote. “They just kick off passengers when they oversell their tickets using FAA regulations as an excuse. I could have been told those regulations when purchasing the ticket. My wife could have been told those regulations when flying from Chicago to Miami, at check in counter in Miami International Airport, at the gate or even when boarding the plane. Yet they chose to kick her out last minute after she was seated and her cello safely secured. They even need law enforcement involved,” Tang continued, referencing that his wife was escorted off the plane by law enforcement.